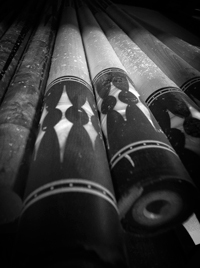 In the early 1960s, Viking Cue started in the basement of a poolroom in Stoughton, Wisconsin. Founder Gordon Hart would travel to various tournaments peddling his unique style of hand-made cues. 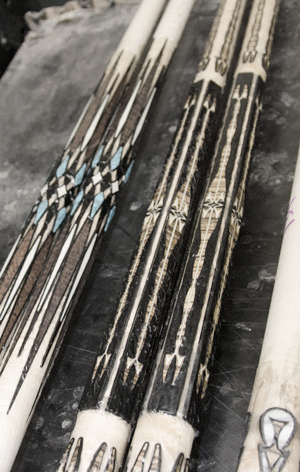 In a short period of time, Viking Cues became popular and attracted some notable top players. As popularity gained it was apparent that Viking Cue was outgrowing its subterranean confines. Demand increased in the late 60’s, the old poolroom was sold and Viking Cue moved to a bigger location in Madison, Wisconsin- the home of Viking Cue for 48 years. Production capabilities expanded and the company grew steadily over the next two decades as Viking Cue sold cues throughout the United States and abroad. In 1986, the Martin Scorsese film, The Color of Money, experienced great success and created a boom in the billiard industry that led to sky-rocketing sales of Viking Cues. Over the next two decades, Viking Cue became an industry giant and proudly served its distributors and players throughout the world. The late 2000’s was a low point for Viking Cue. Like many other businesses of the period, overwhelming debt, soaring costs and a downturn economy forced Viking Cue to close its doors in 2010. For Viking Cue to evolve, it required new vision. That evolution started a year later when Viking Cue reopened under the vision of Madison Area Businessman, Mark Larson, whose first priority was to rehire the same craftsmen who were at the core of Viking Cue’s successes over the years and would become the foundation for a new Viking Cue. The next step was to bring in fresh minds from different industries and disciplines to create a new company culture based on innovative thinking, integrity, and a passion for the product. 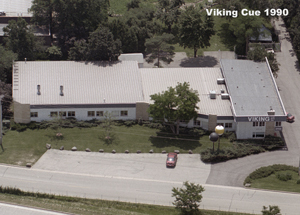 In August of 2013, Viking Cue moved its office and manufacturing to Middleton, WI. The new state-of-the-art facility demonstrates Viking Cue’s values, vision and commitment to innovation, quality and craftsmanship. For years to come, Viking Cue will be a dominant force in high-end product innovation, personalized customer service and meaningful user experiences. Most of all, we hope you can see the real value in a Viking Cue that can only be experienced through owning one. Remember... Nothing Conquers a Viking.